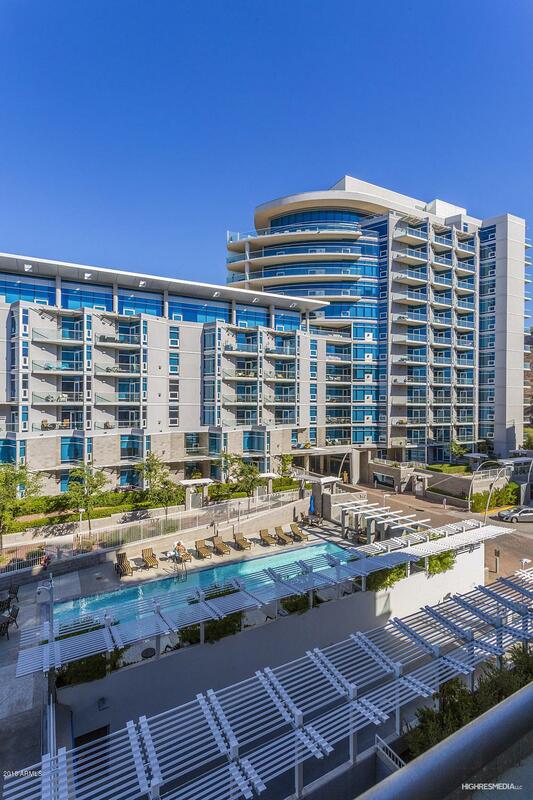 Welcome to THE best condos in all of Tempe. Edgewater is nestled like a beach front high rise in the tropics. 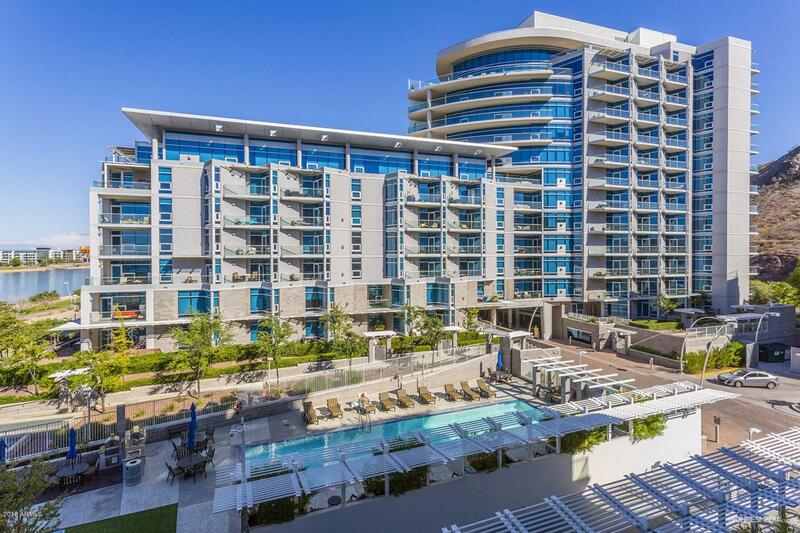 Situated on Tempe Town Lake, you have the most elite location in Tempe. Close access to everything you could want and then some. Inside the development you'll find extreme privacy. Gated, underground parking, and elevator up directly to your unit's floor. Amazing amenities featuring pool, spa, concierge, theater/game room, meeting room, and high end security system. 2 parking spots!Unit 402 features 2 oversized bedrooms, and 2 bathrooms. A great room floor plan with floor to ceiling windows, and 2 patios that capture amazing views of the Arizona mountains, skyline, and city lights. High end finishes throughout will surely please! Welcome home!